Reach to the South of the Polar Circle. A longer expedition which reaches further south and aims to cross 66 degrees 33 minutes South and beyond the Antarctic Circle! 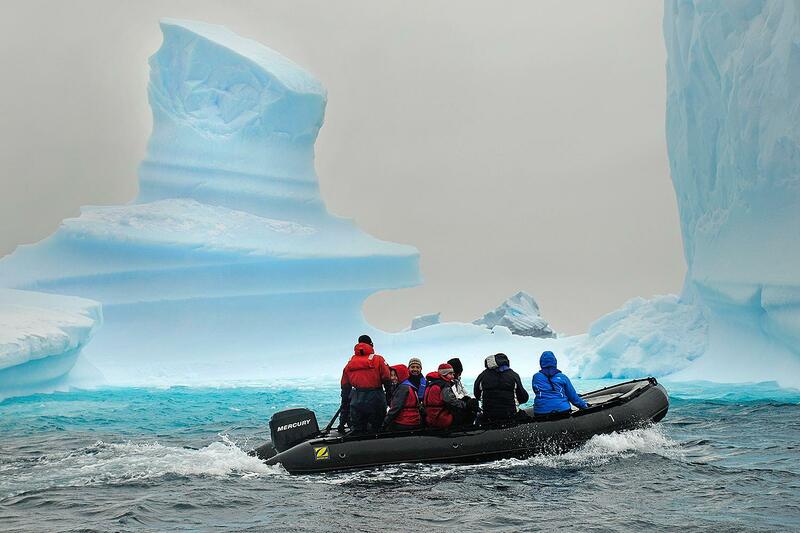 This 11 night expedition cruise to Antarctica on board the M/V Ushuaia is planned to take best advantage of the increased landing and whale spotting opportunities during the later part of the Antarctic season. 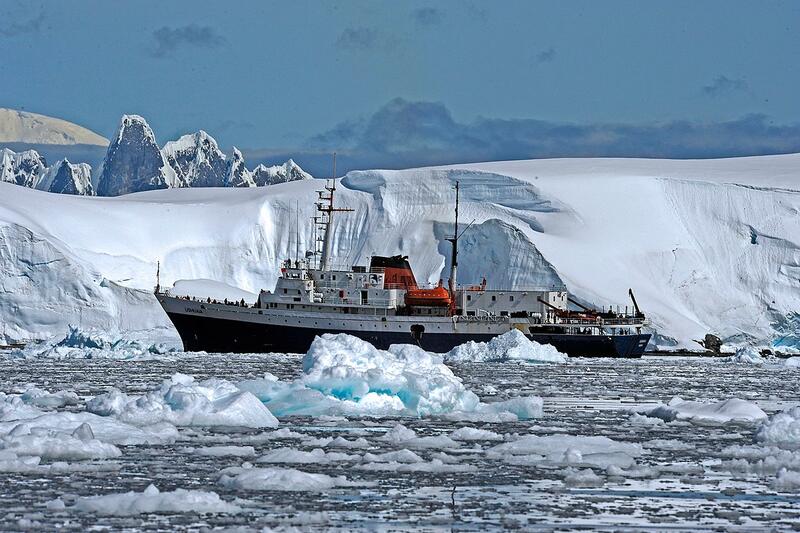 Depending on ice conditions the vessel will endeavour to reach south of the Antarctic Circle. Day 1: Ushuaia Embark the M/V Ushuaia in the afternoon and meet your expedition and lecture staff. After you have settled into your cabins we sail along the famous Beagle Channel and the scenic Mackinlay Pass. 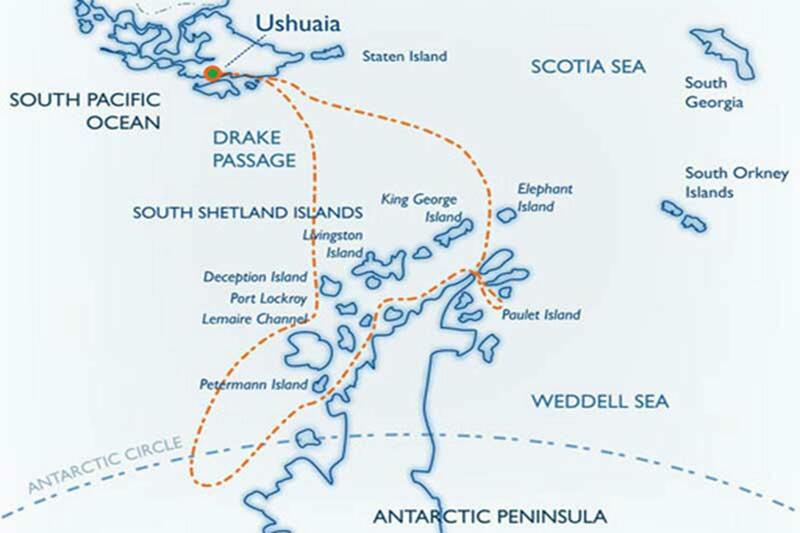 Days 2-3: Drake Passage Named after the renowned explorer, Sir Francis Drake, who sailed these waters in 1578, the Drake Passage also marks the Antarctic Convergence, a biological barrier where cold polar water sinks beneath the warmer northern waters. 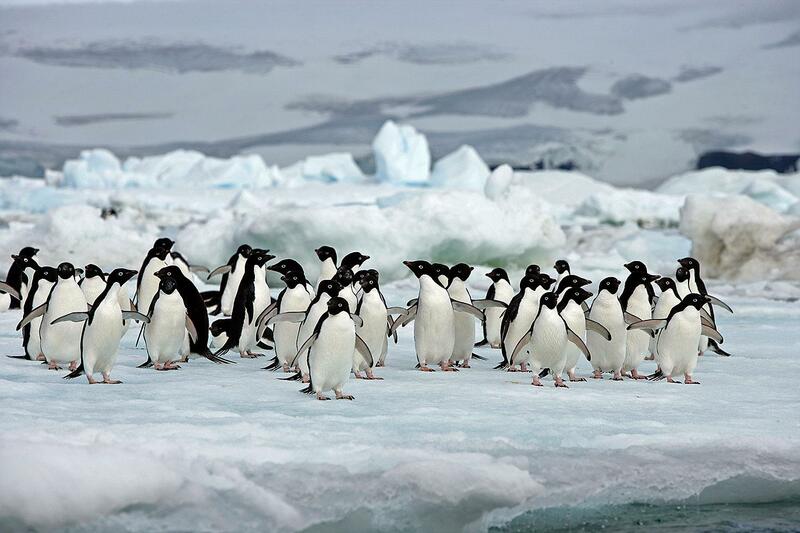 This creates a great upwelling of nutrients, which sustains the biodiversity of this region and also marks the northern limit of many Antarctic seabirds. The lecturers will be out with you on deck to help with the identification of an amazing variety of seabirds, including many albatrosses, which follow in our wake. The ship's open bridge policy allows you to join our officers on the bridge and learn about navigation, watch for whales, and enjoy the view. A full program of lectures will be offered as well. The first sightings of icebergs and snow-capped mountains indicate that we have reached the South Shetland Islands, a group of twenty islands and islets first sighted in February 1819 by Capt. William Smith of the brig Williams. 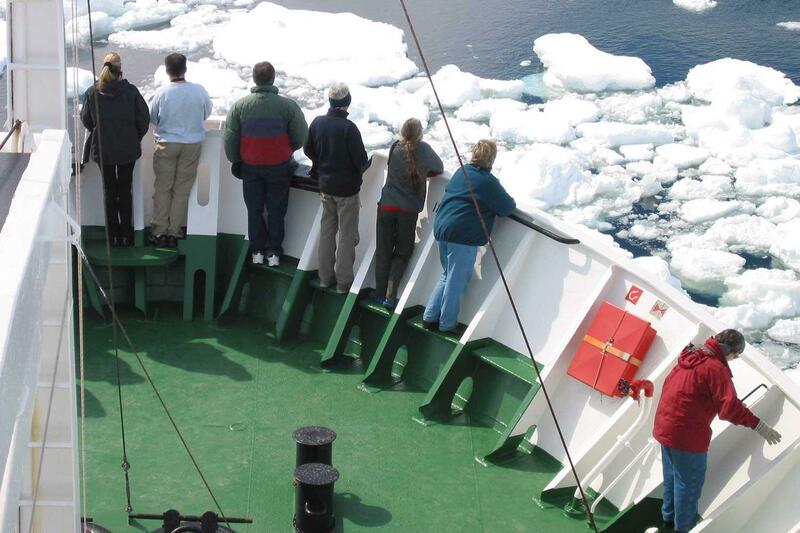 With favourable conditions in the Drake Passage our lecturers and naturalists will accompany you ashore as you experience your first encounter with the penguins and seals on Day 3. 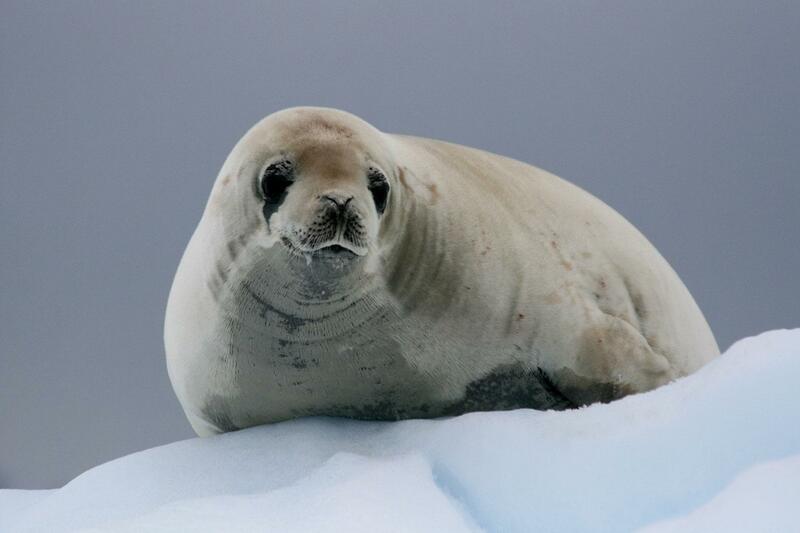 Days 4-9: Antarctic Peninsula, South Shetland Islands Exquisite beauty and pristine landscapes are waiting for you on the western side of the Antarctic Peninsula. 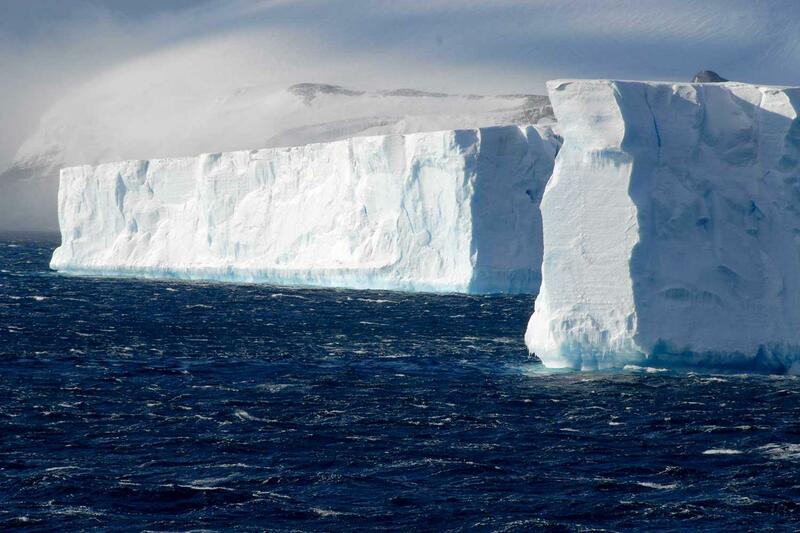 Myriads of icebergs with different shades and shapes are floating free in the waterways around the continent. The Antarctic Peninsula´s remarkable history will also provide you with a type of excitement often only associated with the early explorers. You will have plenty of time to explore its amazing scenery and a wide variety of wildlife. 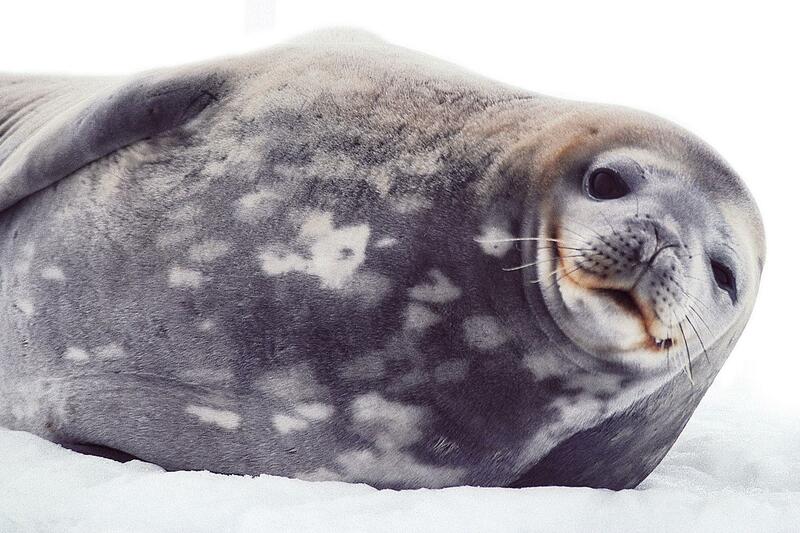 Apart from Adélie, gentoo and chinstrap Penguins and other seabirds you are likely to encounter Weddell, crabeater, fur and leopard seals as well as Minke whales and orcas at close range. At this time of year it is also very likely to encounter big cetaceans, such as humpback, Finn and Sei whales in the area. 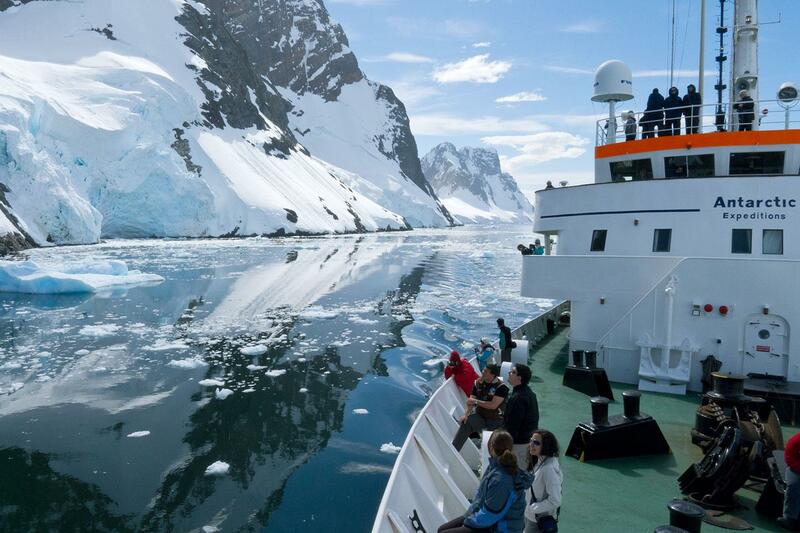 We hope to navigate some of the most beautiful waterways the area has to offer, such as: the Gerlache Strait, Errera Channel, Neumayer Channel and the extremely narrow Lemaire Channel. Possible landing sites may include: Paradise Bay, which is perhaps the most aptly named place in the world with its impressive glacial fronts and mountains, Cuverville Island, home of the biggest gentoo penguin colony in the Peninsula surrounded by glaciers and castellated icebergs, and the British Museum and Post office Port Lockroy. With further exploration far South of the Lemaire Channel in quest of the Polar Circle, we might also visit the Ukrainian Station Vernadsky, the former British base Faraday, where the ozone hole was first spotted, the rugged Yalour Islands and south of the Polar Circle, Detaille Island. 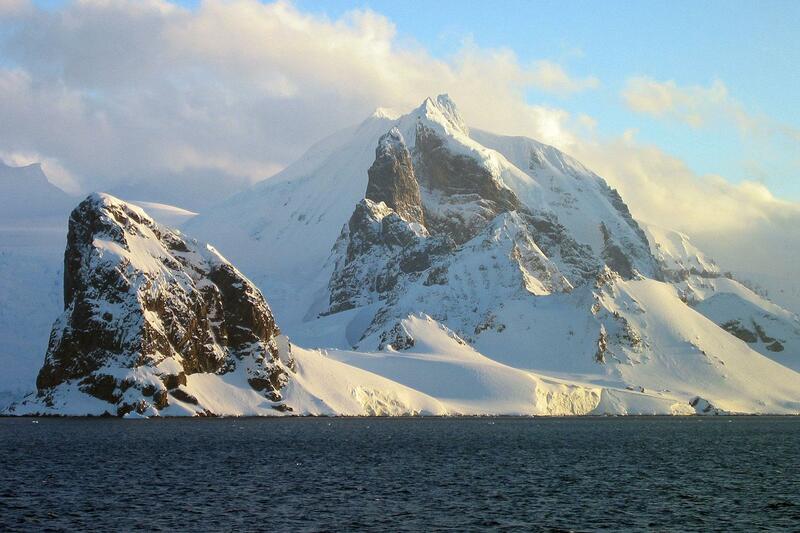 On our way North we plan to explore the South Shetland Islands. The volcanic island group is a haven for wildlife, with vast penguin rookeries and seals hauling out on the shorelines. Sailing through the narrow passage into the flooded caldera of Deception Island is truly amazing, as is visiting the crescent shaped island Half Moon, home to chinstrap penguins in breathtaking surroundings. Days 10-11: Drake Passage We leave Antarctica and head north across the Drake Passage. Join our lecturers and naturalists on deck as we search for seabirds and whales and enjoy some final lectures. Take the chance to relax and reflect on the fascinating adventures of the past days on the way back to Ushuaia. Day 12: Arrival in Ushuaia We arrive at the port of Ushuaia in the early morning and disembark after breakfast. Please note: The above itinerary is a guide only. Our exact route and program will vary to take best advantage of local weather and ice conditions and opportunities to view wildlife. Changes will be made by the Captain and/or Expedition Leader to facilitate the best results from the prevailing conditions and they will try their best to reach the Polar Circle. However if ice conditions do not allow access the route might be changed. A daily program sheet will be issued on board. Flexibility is the key to success.